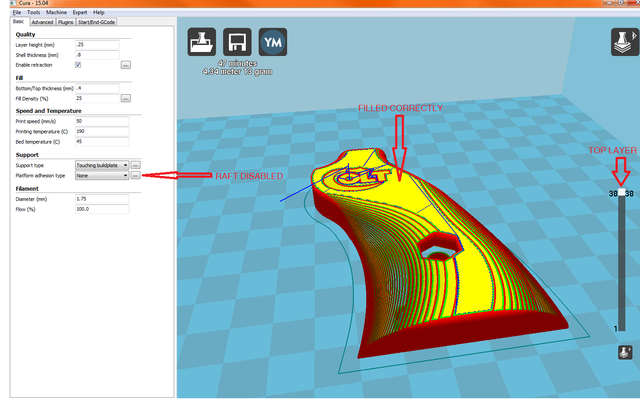 I've been testing a model in Cura just to see how long it will take to print and how much filament. I have been having a weird issue though. 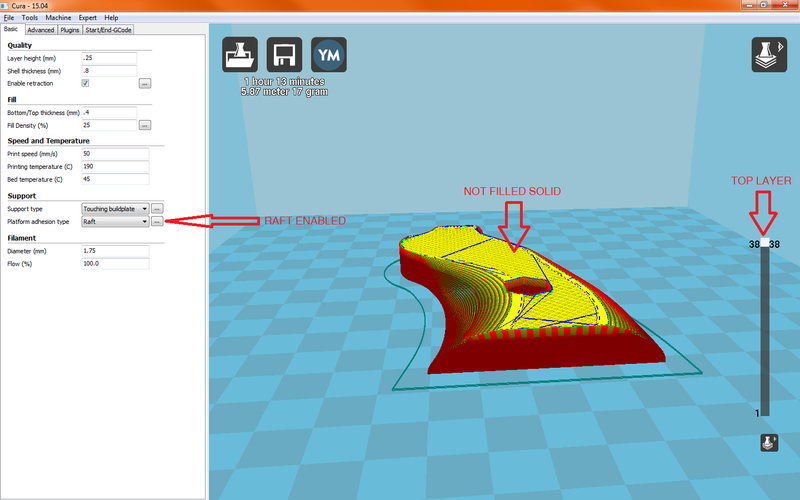 When I have rafts enabled, the top layer(s) doesn't show up in layer view. With raft disabled, everything looks peachy. I haven't had a chance to try printing the model yet. Is this just a weird visual bug/glitch? I tried printing the file with the raft and it printed just fine. As far as I can see, it's just a visual bug.